Destination Weddings: Where do you go? Looking for a way to cut the cost of your wedding but still have a phenominal setting? Consider have a destination wedding. There are many reasons a destination wedding may be perfect for you and your future spouse. Destination weddings are known for creating unique wedding experiences, That will have you and your guest talking for years to come. Also, a destination wedding can double for the honeymoon and be a relaxing vacation for your guest. According to Away.com, Destination Weddings often allow couples to save upwards of $20,000 versus a traditional wedding! Below is a list of the top ten destination locations according to Away.com. 10. Palau Logistics in planning a Palau shindig aren’t as difficult as you may think. Continental Airlines flies to Palau out of Houston and Los Angeles, connecting in Honolulu and Guam. And your guests can book a stay at the five-star Palau Pacific Resort , where a wedding package will cost you a mere $2,500 and include nearly everything you need to get married in style, such as floral arrangements, champagne, the marriage certificate, and a wedding coordinator. Known as the “Island of Aphrodite,” the goddess of love, it’s no wonder couples gravitate toward this Mediterranean isle when searching for a site for their nuptials. Because the majority of accommodations have on-site chapels, Cyprus is the perfect spot for those who desire a religious ceremony in paradise. Located in the Florida Keys, Little Palm is a five-acre islet tucked offshore Little Torch Key and flanked by emerald-green waters. It’s accessible only by boat or seaplane, making it a quiet—and private—slice of utopia. The thatched-roof bungalows are well appointed, but the resort abides by a “barefoot” policy, meaning no electronics like televisions and telephones (not like you’ll need them anyway). 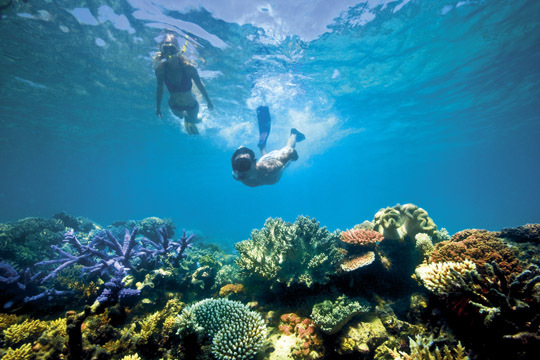 Lizard Island is one of the Great Barrier Reef’s more remote components—Hinterland Aviation charter flights depart from Cairns a couple of times a week—it’s totally worth the cost and effort. Couples can choose among many ceremony sites, from Sunset Beach to Anchor Bay to a pavilion perched on a ridge overlooking the sparkling Coral Sea. Receptions can be hosted at a number of sites on the property: the beach, dining area, pool deck, or any of the gazebos. Packages start at $3,450, including accommodation, celebrant fee, license, a cake for two, bouquet, champagne, and beach dinner. Nothing better than clear blue waters!! Emerging as the most popular international locale for Americans getting hitched, Cabo San Lucas has quite the repertoire of factors that make it so. For one, the wedding is legal in the United States as long as it’s performed by a judge (civil unions are legally recognized, religious ones are not). The paperwork for the license is extremely easy: You just fill it out ahead of time, arrive a few days early to do a blood test, and you’re all set. Most places in Cabo accept American dollars, and nearly everyone speaks English. Deemed one of the top eco-friendly hotels and resorts in the world by Conservation International, the rustic yet luxe Devil’s Thumb Ranch is the perfect venue for the bride and groom looking for an alternative to a beach locale. Sitting on 5,000 acres of privately owned wilderness just an hour west of Denver, the ranch is home to 16 luxury ridge-top cabins, each uniquely appointed in Scandinavian and European antiques and nestled among the pines and aspens. Picture this: Glorious sunshine, tropical setting, a train pulls up and deposits you and your spouse-to-be at the site of your nuptials. You can have all this and more on the island oasis of St. Kitts. The only Caribbean country to lay claim to a scenic passenger railway, St. Kitts is adorned with plantations and rolling sugarcane fields shimmering against a glittering sea. Following the ceremony, guests can reboard the train for the reception and continue on their merry way back to their hotel (or, more likely, the bars of Basseterre). Located just over the Golden Gate Bridge from San Francisco, this sandy oceanside paradise feels worlds away from the cosmopolitan city that draws so many people to the area. With a protected cove and playful otter residents, and flanked by the famous redwood trees of Muir Woods, Muir Beach is an ideal setting for sunset nuptials. Holding a ceremony at the national park will cost you $400 for a small wedding (just be sure and make your reservation well in advance); you can also choose to tie the knot at the Muir Beach Overlook. Oddly enough, getting married in this far-flung South Pacific locale is far more affordable than in the United States. Prices for a beachfront wedding at one of Rarotonga’s poshest resorts, the Pacific, start at just $1,300, and that includes the marriage license and a team of on-site professional planners. An additional $500 gets a bride and groom a traditional vaka lagoon ride with a warrior, a ukulele serenade, a shell horn announcement by an island warrior, and a hand-woven coconut palm and flower archway. Flights for your guests are relatively affordable and easy, too: On a ten-hour direct flight from Los Angeles, you can reach Rarotonga for as little as $800 round trip. NOTE: Destination weddings take considerable planning and research, and the best properties & accommodations often book far in advance of the wedding date. The earlier you begin planning your wedding, the greater the likelihood you will be able to book the perfect property for you and your guests. What Receptions Style is Best for Your Budget?